A 30-year veteran of the plumbing industry, Vince began his career in California in 1985. His first eleven years were spent working for a couple of plumbing contractors in Long Beach, CA before he made the decision to move to the Pacific Northwest and reside in the Portland/Vancouver areas. Matt joined the D&F Plumbing team in 2007 and is currently in the role of Financial and Human Resource Manager. Upon college graduation, he was hired as an Internal Auditor for a fortune 100 company. From there he decided to make a change and headed out west to the Portland Metropolitan area in 1993. 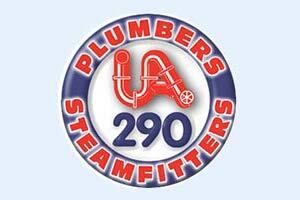 With over 30 years of plumbing and drain service experience, I have been with D&F for 20 of those years. I find delivering top quality service to our large customer base satisfying, also providing support for our plumbers to assure our customers receive value for our services. I’m a father of 2 great kids and the husband of my high school sweetheart for 30 plus years. Brett Joined D&F Plumbing in 2018 as a dispatcher. He is responsible for scheduling, dispatching Plumbers, and general office work. He has been in customer service and management for 16 years and has 5 years of dispatching experience. He enjoys hanging out with his little doggie and going for walks. His favorite part of working at D & F is the fact that he gets to help people with the plumbing issues that cause them stress in their life. His goal for each day is to do the best job he can. Jenny Joined D&F Plumbing in 2017 as a dispatcher. She is responsible for scheduling, dispatching Plumbers, and general office work. She has been in customer service for 22 years and has 11 years of dispatching experience. Jenny enjoys museums and antiques, especially medical oddities. Her favorite part of working at D & F is that her coworkers are like family. She strives to do her best every day. David started in the plumbing trade 22 years ago, and spent 3 years as a plumbing instructor at a trade school. He has been with D &F plumbing for 12 of those years. David is an estimator and project manager – his goals are to deliver the highest quality project for the most competitive price. He manages projects from start to finish to assure the best installation possible. Fun fact : David and his wife taught ballroom dance for a number of years.